Super spacious breathable gown cover with full length 10" gusset to avoid crushing trains, petticoats etc. Ideal for larger wedding dresses, bridesmaid dresses, prom dresses and ball gowns. Made from quality 80gsm polypropylene. Full length zip with stylish easy to use zip puller. Large and clear identity pouch. 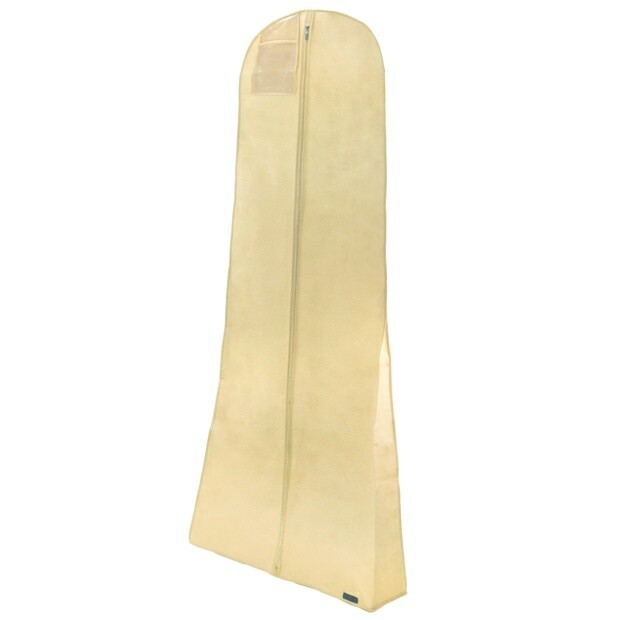 Full protection for multiple, larger & bulky dresses & gowns. Ideal for transport & protection of your precious garments. Size: Length x Width 72'' x 24'' (182cm x 61cm). Gusset width 10" (25.4cm) approx.